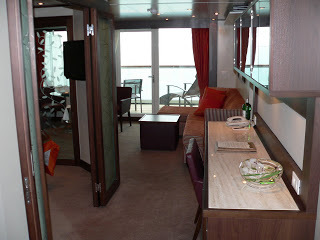 OK, now its time to see what the top shelf Seabourn suites are like on the Seabourn Odyssey. There are basically four different suites: Penthouse, Owner's, Signature and Wintergarden. They are, quite refreshingly, unique, modern, very well thought out and not filled with gimmicks...though if you look you can find one or two.